Who says a quilt has to be square or rectangle? No one! You can make a quilt in any shape you want to! He loves this car probably as much as he loves me and the kids. We take it to hot rod shows during the summer and the only award it has ever won was a “hard luck award” because it took us 5 hours to get from Puyallup, WA to Elma, WA. FYI: It’s 62.43 miles according to mapquest. Longest. Day. Ever. The hubs asked me one day if I would be willing to make a quilt for his car. A quilt for your car? Ha! You must be kidding! He wasn’t. He wanted it to put in the back for car shows. I reluctantly agreed and ended up making one in black and red so it would match the rest of the car. 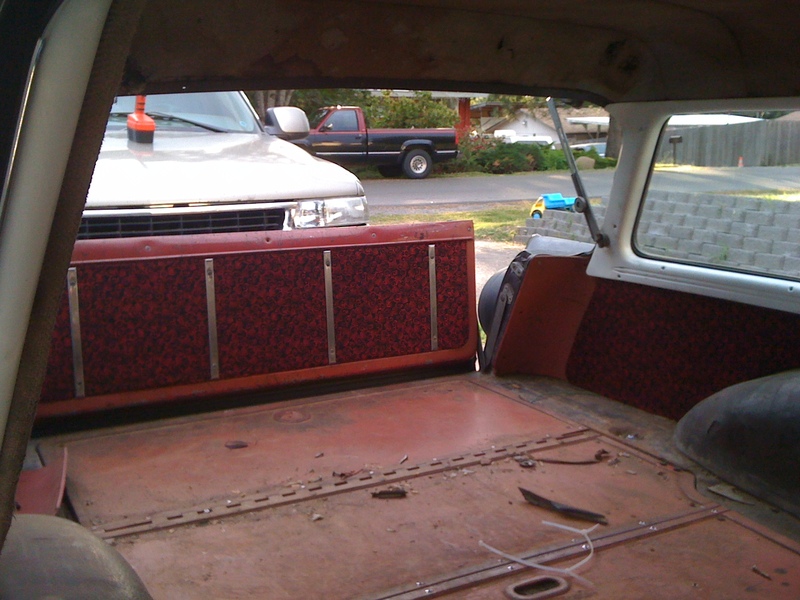 I then had to add oddly shaped pieces to the sides so it would fit nicely around the wheel wells. It was quite a challenge, but I finally finished it and I’m pretty sure he’s happy with the results. We have been so busy sewing, vacationing, and partying that we haven’t been much on the ball with our blog. I just wanted to leave a quick note to let you know that we are still here. Lizze and I went to a concert last Wednesday night. We saw The Toadies! Remember them? It was a great time. We got our picture taken with them too. Then the next day I was off with the family to a car show that is an annual tradition for us. 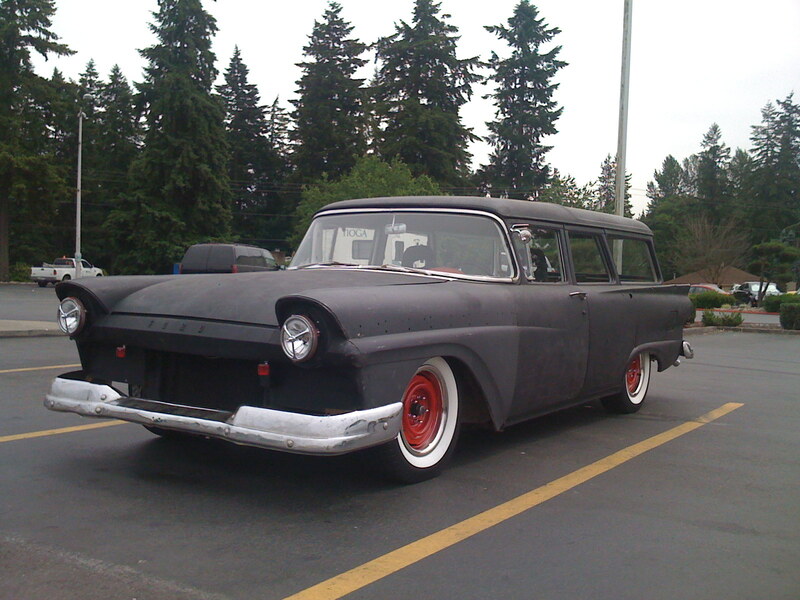 We packed up the camper and headed over to Yakima with our 1957 Ford for the Vintiques. We got home late Sunday. 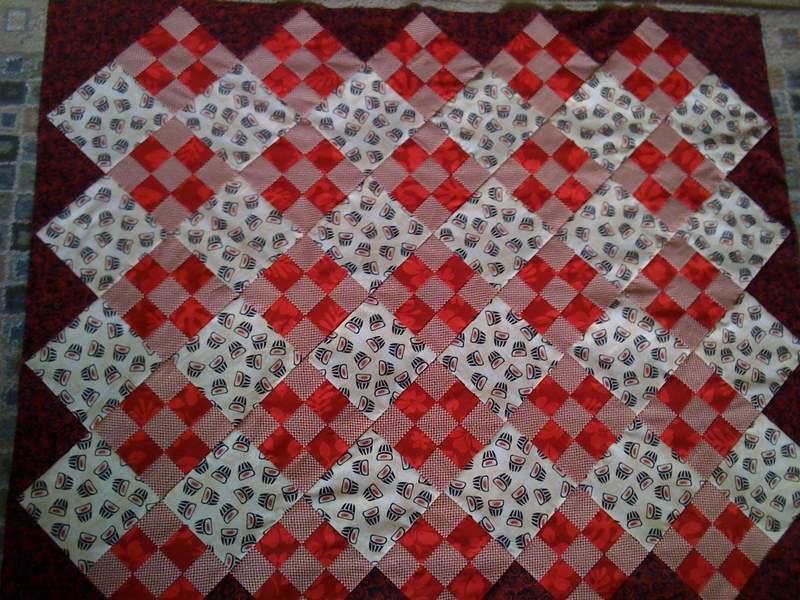 I finished a quilt last night, and have 3 others in process. I don’t know why I start so many at once. I get overwhelmed and then find myself in a rut, being stubborn, not wanting to finish any of it. Lizze is on a roll. She is stitching on some binding as we speak, and has 2 other quilts done and ready to be listed. Well, I’m off to take a few photos of my newly finished quilt. Then it’s time to sew some quilt blocks together!